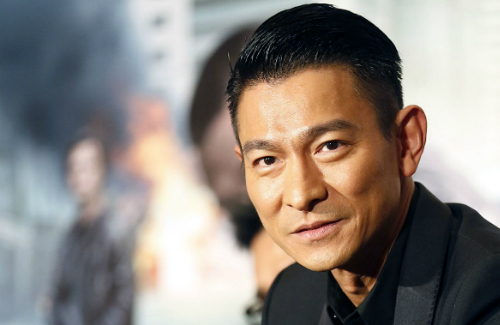 Andy Lau’s Daughter Enrolled in Two Kindergartens At Once? In the blink of an eye, veteran actor Andy Lau’s (劉德華) beloved daughter Hanna Lau (劉向蕙) is 3-years old and ready to enter kindergarten this coming September. Understanding the importance of early childhood education, Andy actively searched for the best schools in Hong Kong and has already brought Hanna to five interviews. Currently accepted into two schools, Andy is unable to narrow it down and has reportedly decided to enroll his daughter in both. Hanna has been accepted into Good Hope School and Hong Kong Soka Kindergarten. However, Andy and his wife Carol Chu (朱麗倩) share differing opinions in terms of which one their daughter should enter. While Andy prefers Good Hope School since it is one of the top local kindergartens well-recognized for academic performance, Carol hopes Hanna can lead a more common lifestyle in a slightly less high-profile learning environment. Furthermore, Good Hope School is a Catholic school, but Andy and Carol are devout Buddhists. Hanna then went to bed immediately, woke up at 5 a.m. the next morning, did not see her father, and sat outside his bedroom door to wait. When Andy returned home to his waiting daughter, he was unable to hold back his tears. 1 comment to Andy Lau’s Daughter Enrolled in Two Kindergartens At Once? It is too much for a 3-year old kid to attend school all day. She needs a nap before or after school.